A blue door plaque, decorated with a white dashed line border. 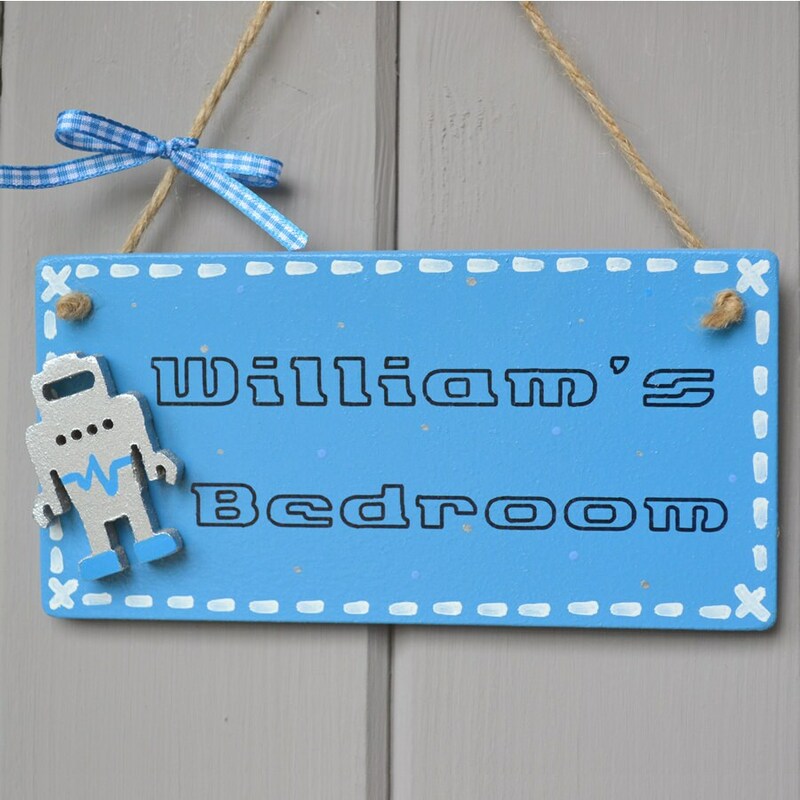 The plaque is completed with a silver robot and can be personalised with any name. •Text completed in a space style.